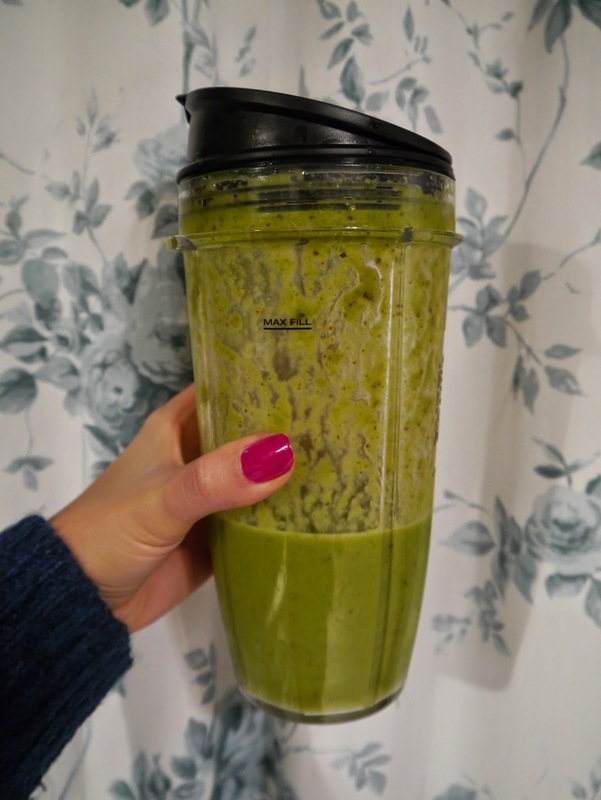 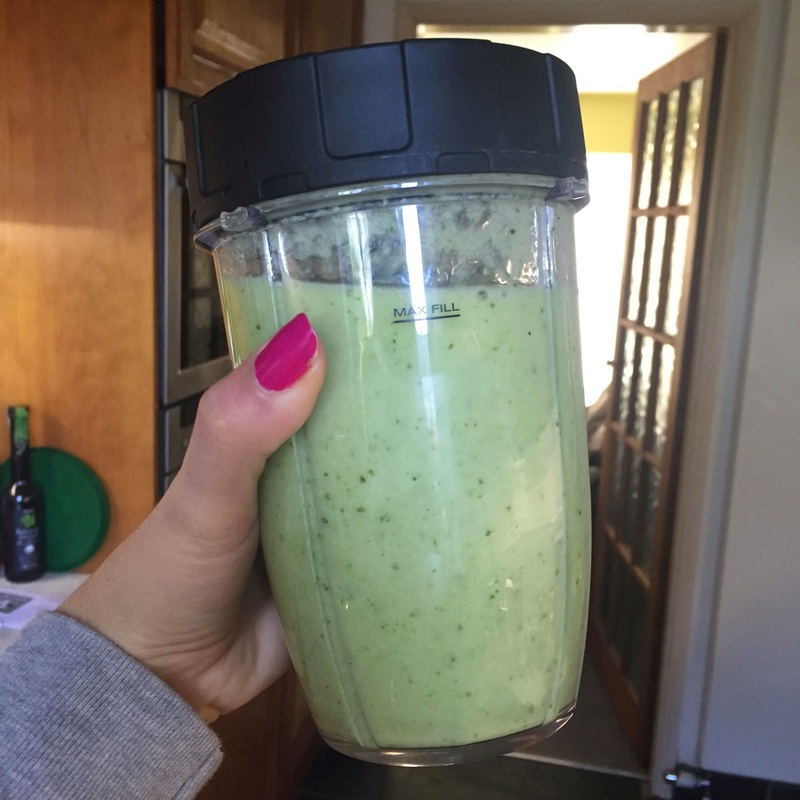 We've recently bought a Nutri Ninja blender, so its safe to say we have been living off them! 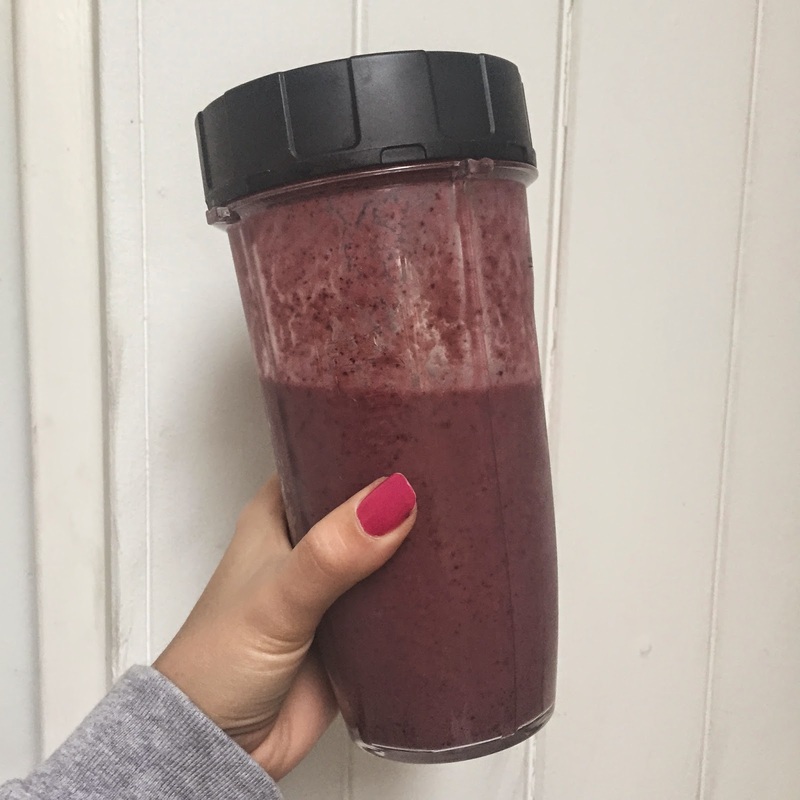 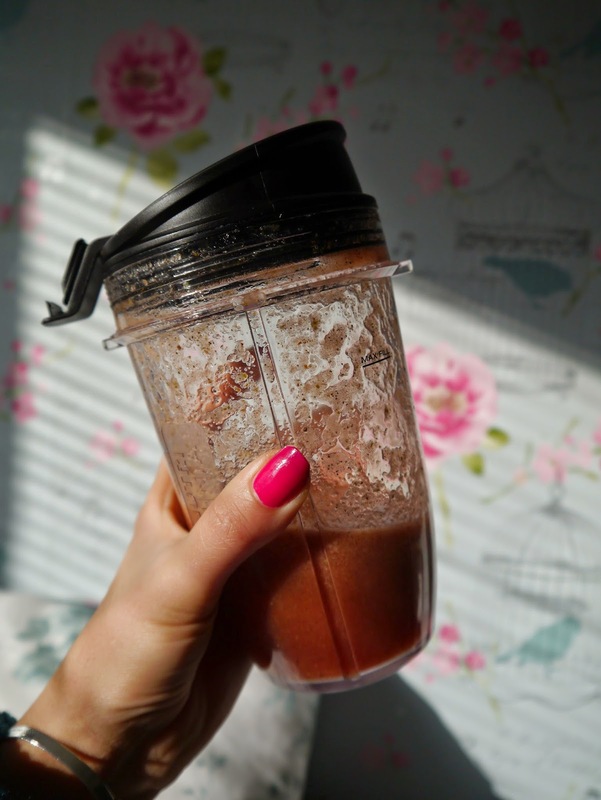 The Ninja is just like the Nutri Bullet but I think a little bit cheaper, it blends anything you put in it super quickly and the recipe ones actually taste really good (one's I have made up - not so good ha) so it's a great way of getting in your 5 a day! 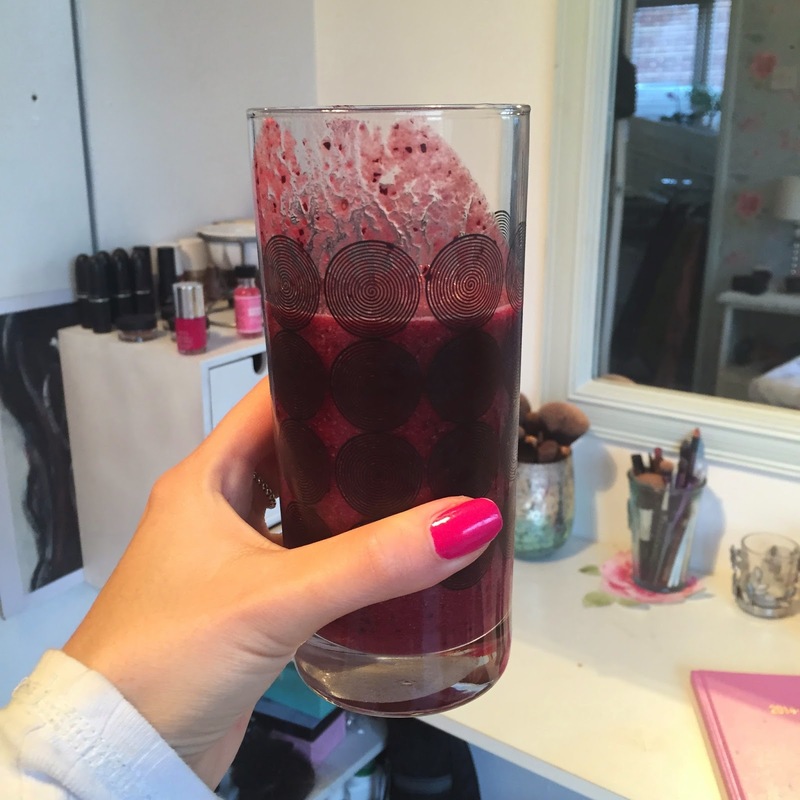 THIS ONE IS MY ABSOLUTE FAVE! 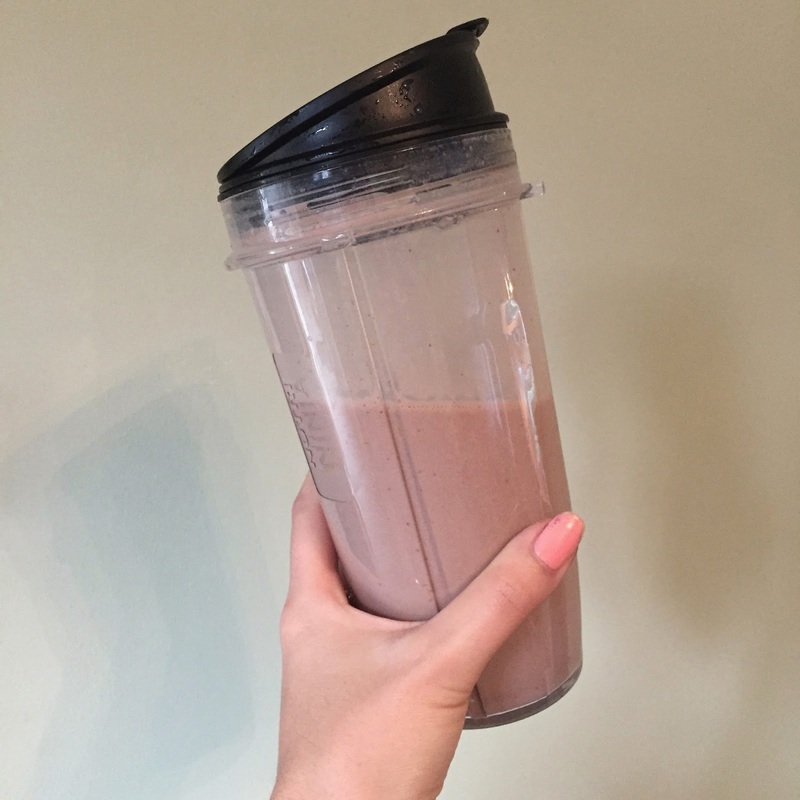 This one I actually made up and it didn't turn out too bad..
My friend gave me the recipe of this one and it is amazing, especially if you are into the gym - this is perfect for after a heavy workout of early in the morning for breaky.